Why mess with a lot of different tool for cataloging, tagging, playing or renaming files when you only need one? Getting started with Helium is very easy - simply install it and then import your digital audio files. After the initial import is done you can start to browse your collection using all various browse mode and work with all powerful tools that are included. 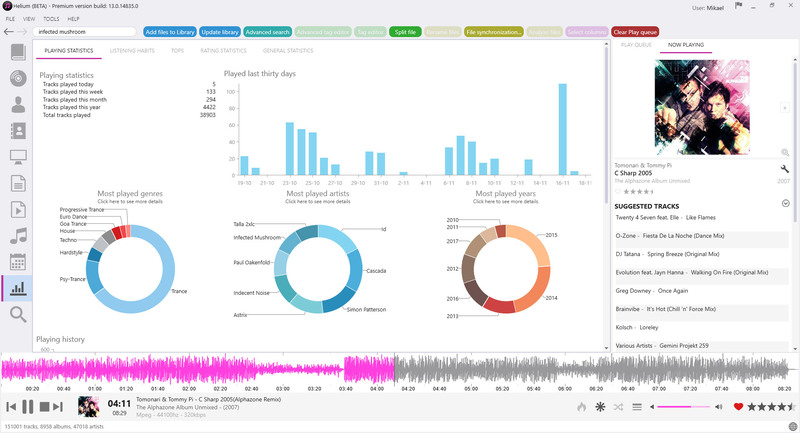 Quickly use the powerful search capabilities to locate specific artists, albums or tracks. 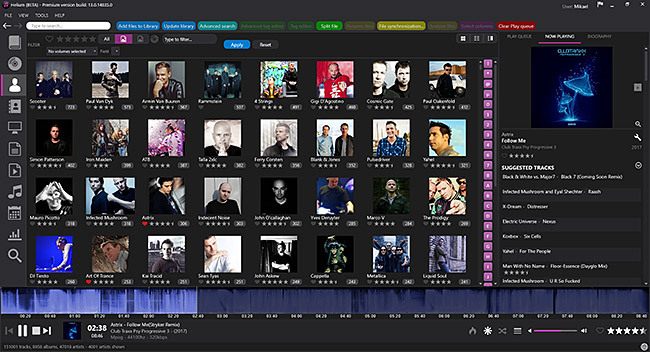 Adjust and correct data of your files and manage your album and artist pictures in a batch. 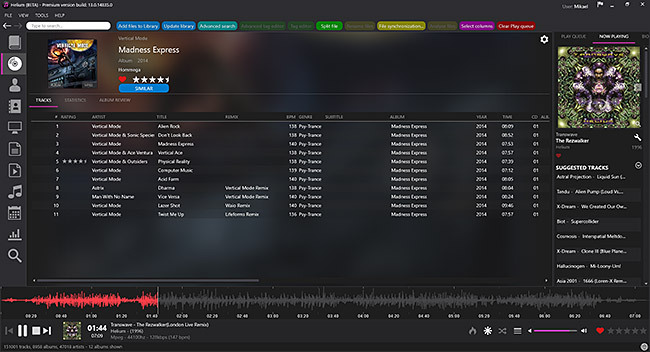 Helium offers many quick and simple operations to handle your music collection, but it does not stop there. You can also interact with Helium via its scripting API. 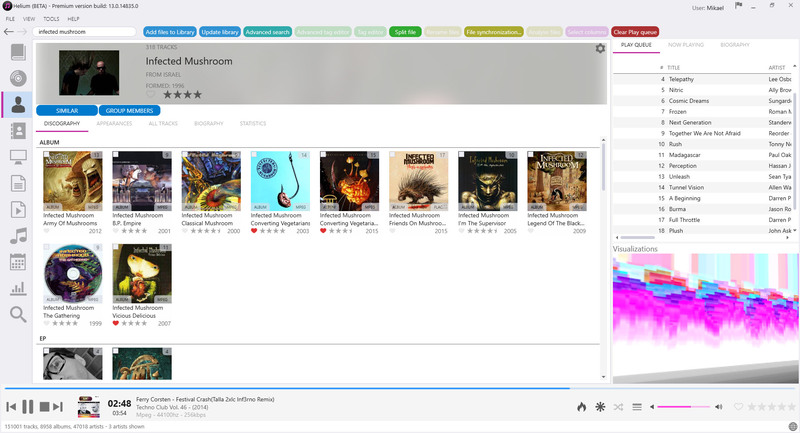 The scripting API allows you to execute specific operations via C# scripts to tracks, artists and albums in your collection. Big collections - no problems! 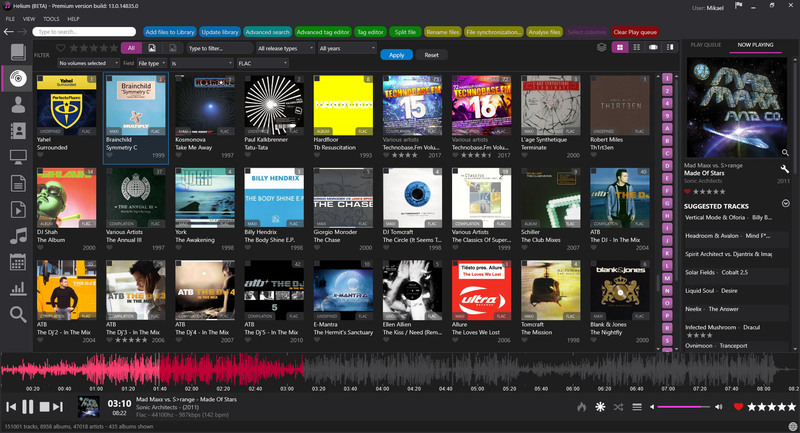 We have designed Helium to be useful with collections ranging from small collections to large collections with several hundred thousands of tracks. Due to it's scalable design you can easily migrate from the default database enging to more powerful engines like SQL Server or MySql, stored either locally on the same machine as Helium or a remote machine for the optimal multi-user support. Support for multiple database types for the ultimate scaling for small and large collections. Different tag editors with multiple capabilities. Support for quick editing whilst viewing. Download pictures and information, convert files, automatically rename files and much more. Browse your collection in various ways to quick and easily find what you are looking for. Dark or light themes available. 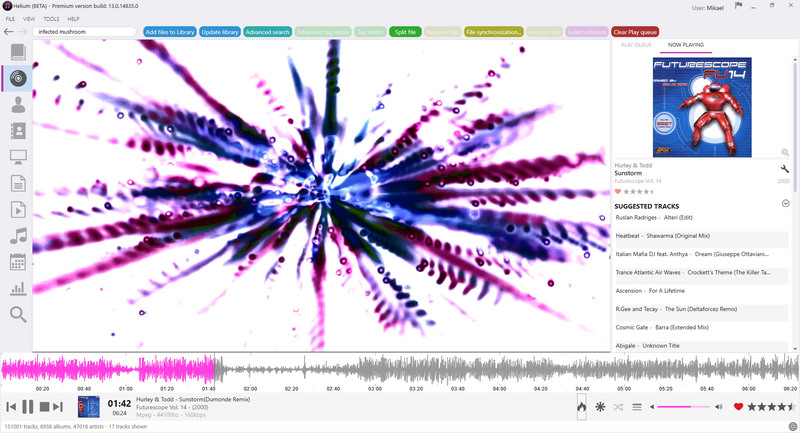 Play music through playlists and use visualization plug-ins for the optimal experience. Automate multiple tasks with Helium's script engine. Create your own tasks and run in batches. By purchasing Helium you agree to let us send information about updated software releases. You can opt-out at any time from the Customer Center.